There have been high-level discussions about reforming the rules of succession. A BBC poll shows overwhelming public support for changes to the rules of succession to the British throne. Meanwhile Downing St confirms that it has discussed plans to change the rule of succession with Buckingham Palace. But why does the current law discriminate against women and Roman Catholics? 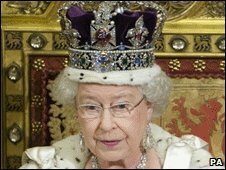 The monarchy in Britain is an ancient institution which, for more than a thousand years, has been dominated by men. Yet few would disagree that three of the country's most successful monarchs have been women. They were the first Queen Elizabeth, who saw off the Spanish Armada of 1588; Victoria, whose 64-year reign encompassed the period of Britain's greatest international power; and the current Queen, who for the 57 years - so far - of her reign has been a symbol of stability during a period of extraordinary change in virtually every aspect of British life. How surprising then in this 21st Century, when sexual equality is a legally enforceable rule in most walks of our national life, to find that when it comes to the rules of succession to the British throne, women are the victims of the most blatant discrimination. Put simply, a woman can only become Britain's head of state as a last resort; in effect, after every other male option has been exhausted. The principle has a name which sounds as though it was invented in pre-feudal times - which it probably was. It's called male primogeniture, and it is an absolute contradiction of that basic principle of chivalrous behaviour of "ladies first". Under the rules of male primogeniture, ladies come last. The scale of the anomaly to which this can give rise is apparent if we look at the line of succession to the present monarch. The principle of male primogeniture means that the Queen's second-born child, Princess Anne, the Princess Royal - whom many might say was the steeliest of her four children - has to take her place in the line of succession after her younger brothers Andrew, Duke of York and Edward, Earl of Wessex. In other words, there would be a King Andrew I or a King Edward IX before there would be a Queen Anne II. Not only that, but under the rules of primogeniture, the children of a son also take precedence. So Andrew's two daughters, Beatrice and Eugenie, and Edward's two children, James and Louise - in that order, even though Louise was born before James - would also succeed to the throne before the Princess Royal. Anne is now 10th in the line of succession when, logically, she should be fourth, after Prince Charles and his sons, William and Harry. Confused? Well you might be. And yet that's not all when it comes to the eccentricities of the rules of succession to the British throne. The other great disadvantage, other than to be female, is to be anything other than a Protestant, or to fall in love with someone who is a Roman Catholic. So translating this 300-year-old declaration, which was later ratified in the Act of Settlement of 1701, into the language of the 21st Century, we find that Roman Catholics and those who marry Roman Catholics are excluded from the British throne. The situation is of course made more complicated by the fact that in England, but not in any other part of the United Kingdom, there is an official or established church: the Church of England, of which the monarch is the Supreme Governor - but not the "Head" as is frequently misreported. But while it would unquestionably open a can of ecclesiastical worms to suggest that the British monarch should be anything other than a member of the Anglican church, is it really necessary any longer to insist that the sovereign cannot marry a fellow Christian who happens to be in communion with Rome rather than Canterbury? Yet it is that potential connection with Rome that is the nub of the problem. And, perhaps surprisingly, the issue is not simply a question of faith. There is, after all, nothing to stop the heir to the throne marrying a non-Christian. It is a question of loyalty. Would Britain be prepared to accept a King whose Queen Consort owed at least part of her allegiance to the Pope, and who might consequently insist that their children were brought up as Roman Catholics? The same question would arise in the case of a Queen Regnant whose husband was a Roman Catholic. The Liberal Democrat MP Dr Evan Harris believes Britain is ready to accept changes to these ancient provisions. He is introducing a Private Member's Bill to parliament to reverse what he regards as centuries of discrimination against women and Roman Catholics. Under his bill, men and women would be granted equal rights of succession to the throne, and the ban on the heir to the throne marrying a Roman Catholic would be ended. All of which places the government in something of a quandary. It is, it says, opposed to all forms of discrimination - yet the reality of the situation is that no government in recent times, Labour or Conservative, has so far been prepared to devote the time and legislative energy to straighten out these ancient anomalies. Now there are signs that the government might move slowly to end what one clergyman has termed "state-sponsored sectarianism". Absurd though these antique rules may seem, the task of correcting them would be an inordinately complicated one, requiring not merely legislation at Westminster, but in the 15 other countries of which the British monarch is also head of state. Yet on the evidence of a poll commissioned by BBC News, the public believes overwhelmingly that these changes should be made. Some 89% of those questioned believed male and female heirs should have equal rights to succeed to the throne, and 81% believed that an heir to the throne should be allowed to marry a Roman Catholic and still become monarch. 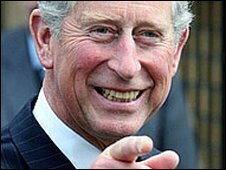 Those figures will be looked at with particular interest at Clarence House, where Prince Charles and his officials are quietly thinking about the changes that should be made to the monarchy when he finally succeeds to the throne. But perhaps it is the other question in the BBC poll which will be viewed with the greatest interest - not to say relief - by Prince Charles' officials. BBC News asked whether, after the end of the reign of the current Queen, Britain should continue with the monarchy, or become a republic. Of those questioned, 76% said they would want Britain to keep the monarchy, against 18 per cent who said they would favour a republic. Some 6% said they did not know. In all probability, then, it will be a King Charles III - assuming that that is the name he chooses for his reign - who will not only succeed to the throne, but who may yet be the agent for change who ensures that in future years, his grand-daughters and great-granddaughters have equal rights of succession to their male siblings, and that there will be no bar on any of them from marrying whoever they choose. Act of Settlement: What's in the small print?